The state legislature occupies an integral position in political system of India and governing of state.The Constitution of India provides for a legislature in each State and entrusts it with the responsibility to make laws for the state. Articles 168 to 212 in Part VI of Constitution of India deal with the organisation, composition, duration, officers, procedures, privileges and powers of the state legislature. Some of these are similar with Parliament of India, while others are different. In the political system of India, there are two types of states with regard to state legislature. Most of the state in India have Unicameral system while few others have a bicameral system. 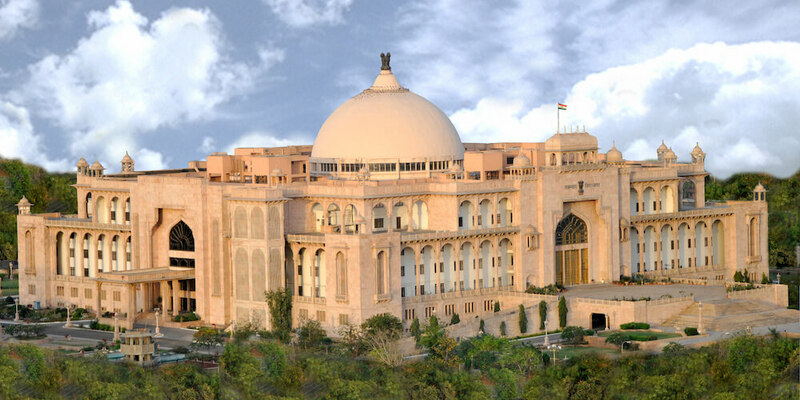 Unicameral system has only one House and is known as the Legislative Assembly (Vidhan Sabha) and in Bicameral system , the State has two houses, the Upper House is known as the Legislative Council (Vidhan Parishad) and the lower House is known as the Legislative Assembly (Vidhan Sabha). Article 169 in Constitution of India provides for Method of Abolition or Creation of a State Legislative Council. If a state Legislature passes a resolution by a special majority, in favour of the creation of the second chamber and if Parliament gives approval to such a resolution by Simple Majority, the concerned State can have two Houses in the Legislature. 22 States in India have unicameral system of state legislature (including Rajasthan). Here, the state legislature includes Governor and Vidhan Sabha. Other than these states, two Union territories – Delhi and Puducherry have State Legislatures (Both Unicameral). 7 States in India namely: Bihar, Andhra Pradesh, Telangana, Jammu and Kashmir, Karnataka, Maharashtra and Uttar Pradesh have Bicameral system of state legislature. Here, the state legislature includes Governor, Vidhan Sabha and Vidhan Parishad. Can be maximum of 500 and minimum of 60, to vary according to population of state. Rajasthan Legislative Assembly has 200 members. Special Case: Goa, Arunachal Pradesh & Sikkim number is fixed at 30 and for Mizoram & Nagaland at 40 & 46 respectively. Members of legislative assembly are elected directly by people on basis of Universal Adult Franchise. The demarcation of territorial constituencies is to be done in such a manner that the ratio between the population of each constituency and the number of seats allotted to it, as far as practicable, is the same throughout the State. Constitution makes special provisions regarding the representation of Scheduled Castes and Scheduled Tribes on basis of population ratios. Provision has also been made to nominate one member of the Anglo-Indian Community, if the Governor is of the opinion that the community is not adequately represented in the Assembly. The system of composition of the Council as laid down in the Constitution is not final. The final power of providing the composition of this Chamber of the State Legislature is given to the Union Parliament. But until Parliament Legislates on the matter, the composition shall be as given in the Constitution, which is as follows. Strength of legislative Council cannot be more than one-third of the total number of members in the Legislative Assembly of the State and in no case less than 40 members. However, in Jammu and Kashmir the strength is only 36. Rajasthan does not have legislative council. 1/3 of total number of members of the Council shall be elected by electorates consisting of members of local bodies, such as municipalities, district boards. 1/12 shall be elected by electorates consisting of persons engaged for at least three yeas in teaching in educational institutions within the State, not lower in standard than secondary schools. 1/3 shall be elected by members of the Legislative Assembly from amongst persons who are not members of the Assembly. Remainder shall be nominated by the Governor from persons having knowledge or practical experience in respect of such matters as literature, science, art cooperative movement and social service. Thus 5/6 of member of legislative council are indirectly elected and 1/6 are nominated by the governor. The duration of the Legislative Assembly is five years from date of its first meeting after the general elections. The Governor has the power to dissolve the Assembly even before the expiry of its term. Additionally, during National Emergency, the Parliament by law can extend the term of assembly for a period not exceeding one year at a time and not extending in any case beyond a period of six months after proclamation has ceased to operate. Like Rajya Sabha, Legislative council is a continuing chamber. It is a permanent body, unless abolished by the Legislative Assembly and Parliament by due procedure. One-third of the members of the Council retire on the expiry of every second year, which means, a term of six years for each member. There is no bar on a member getting re-elected on the expiry of his/her term. He/She must make and subscribe before person authorised by election commission an oath or affirmation according to the form prescribed in Third Schedule. A person shall not be elected either to the Legislative Assembly or the Council, unless he is himself an elector (registered as Voter) for any Legislative Assembly constituency in that State. To Contest seats reserved for SC/ST must be a member of SC/ST. However, a member of SC/ST can also contest a seat not reserved for them. Is so disqualified by or under any law made by Parliament. Art. 192 lays down that if any question arises as to whether a member of a House of the Legislature of a State has become subject to any of the disqualifications mentioned above, the question shall be referred to the Governor of that State for decision who will act according to the opinion of Election Commission. The Tenth Schedule to Constitution provides for disqualification of the members on ground of defection. Defection refers to desertion of one’s party in favor of an opposing one. The question of disqualification under Tenth Schedule is decided by Speaker in Vidhan Sabha and Chairman in Vidhan Parishad. Each house of state legislature has its own presiding officer. Each State Legislature exercises law-making powers over the subjects of the State List and the Concurrent List. In case a state has only Legislative Assembly, all the powers are exercised by it. 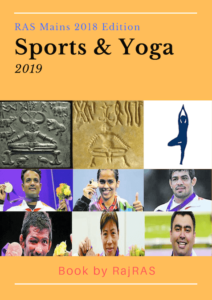 However, even in case it is a bicameral state legislature with both Vidhan Sabha and Parishad, almost all the powers are exercised by the Vidhan Sabha. The Vidhan Parishad plays only a secondary, advisory and minor role. Legislative Committees can be divided into two categories – the Standing Committees and the Ad-hoc Committees. 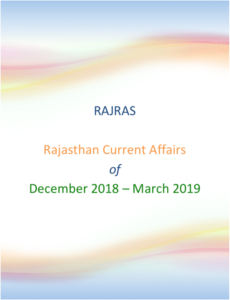 In Rajasthan Legislative Assembly, there are 18 Standing Committees out of which four are financial and the rest relates to various other subjects. 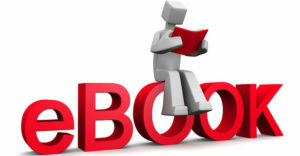 Report as to what economies can be effected and what improvements in particular organisation may be made and also to suggest alternative policies in order to bring about efficiency and economy in administration, as also changes in the form of budget estimates. The financial committees are elected on the basis of proportional representation through single transferable vote and the rest are nominated by the Speaker. The Chairmen for all these committees are nominated by the Speaker from out of the members of these committees.